Happy New Year – and welcome to our 22nd year of service to the broadcasters of the northeastern US and eastern Canada! If you were on vacation last week and missed our big 2015 Year in Review package, take a few minutes out of your week and catch up – it’s all available in five parts: the year in station sales, the year in people and formats (parts one and two), the year’s top ten stories and the year in obituaries. And if your year is starting with a blank space on the wall where a new calendar should be, come to our newly-upgraded Fybush Media Store and we’ll get your 2016 Tower Site Calendar on the way to you right away! 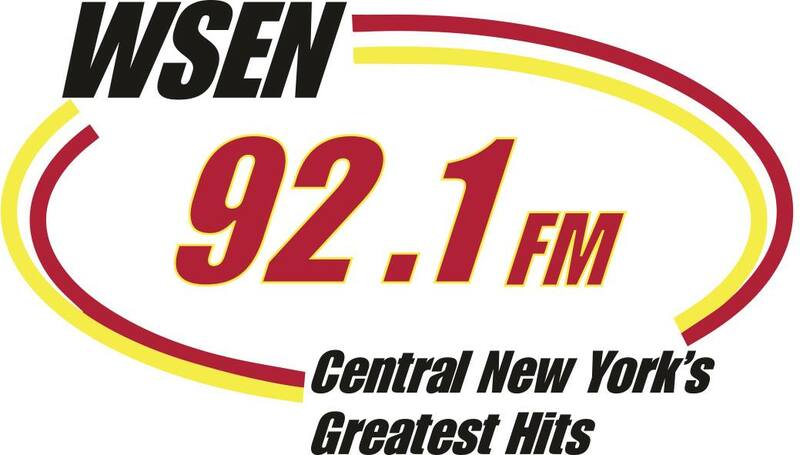 *The last station sale of 2015 turned out to be one of the biggest surprises: Bath-based Family Life Ministries expanded its reach into central NEW YORK with the $2.5 million purchase of WSEN-FM (92.1 Baldwinsville) and WMCR-FM (106.3 Oneida) from James Johnson’s Leatherstocking Media Group. Back in 2009, Leatherstocking paid Buckley Broadcasting $2.1 million for WSEN-FM and its Syracuse sister stations, WSEN (1050) and WFBL (1390), just weeks after it paid Warren Broadcasting $950,000 for WMCR-FM and sister station WMCR (1600 Oneida). In the years that followed, Leatherstocking left WSEN-FM’s classic hits format largely alone, updated WMCR-FM’s format from sleepy AC to a hotter AC as “Mix 106,” combined WFBL and WMCR(AM) into a low-rated talk format, and put older oldies on WSEN(AM). In the meantime, Leatherstocking had to compete with just a single FM in one of the most crowded medium markets in the country, where iHeart, Cumulus, Ed Levine’s Galaxy and Craig Fox’s stations all battled it out for listeners’ ears. As soon as the sale to Family Life closes, WSEN-FM and WMCR-FM will drop their current format and begin carrying programming from FLN’s Bath studios. The move extends FLN’s reach eastward from its current eastward outposts, WCOV (93.7 Clyde) and a translator in Baldwinsville, offering a new challenge to the established religious player in town, Mars Hill Network’s WMHR (102.9 Syracuse). And what of the remainder of Leatherstocking? FLN gets an option to buy WFBL and to move the 92.1 transmitter to the WFBL site from its longtime home on Smokey Hollow Road in Baldwinsville. It’s not clear what becomes of WFBL and its sister AMs; Leatherstocking has already shut down the third leg in its “CNY TalkRadio” simulcast, WUTI (1150 Utica), and it’s not hard to imagine WFBL and WMCR(AM) following suit if a buyer for those and WSEN(AM) can’t be found. If that comes to pass, it will be a sad end for what were once important local voices, especially in Madison County, where WMCR has long been the only local radio between Syracuse and Utica. The year’s first format change comes from the heart of central NEW YORK. That would be the Townsquare cluster in Utica, where we’d heard some rumblings that changes were afoot at WODZ-FM (96.1 Rome), which had kept its “Oldiez 96” branding even as its music moved along from 50s and 60s pop to more recent classic hits. 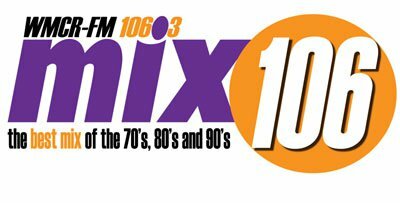 Now “Oldiez” is gone (though the WODZ calls remain for now), replaced by “96.1 the Eagle.” It’s the second 96.1 that Townsquare has freshened up along the Thruway corridor in the last few months, hot on the heels of what’s now “Mix” WMSX over in Buffalo. The Utica rebranding comes with some staff and management changes: we’re told Keith James is out in mornings, as is Greg McShea in afternoons. Eric Meier adds “brand manager” duties for Eagle to his existing job down the hall at WLZW (Lite 98.7); former Oldiez brand manager Dave Wheeler is still in the building as midday guy on “Big Frog” WFRG (104.3). Down the Thruway in Albany, there’s a format change coming to Pamal’s WZMR (104.9 Altamont). Next Monday, it will drop the AAA “Peak” format it launched just over a year ago and will instead flip to CBS Sports Radio as “Win 104.9,” with new calls WINU, according to RadioInsight. 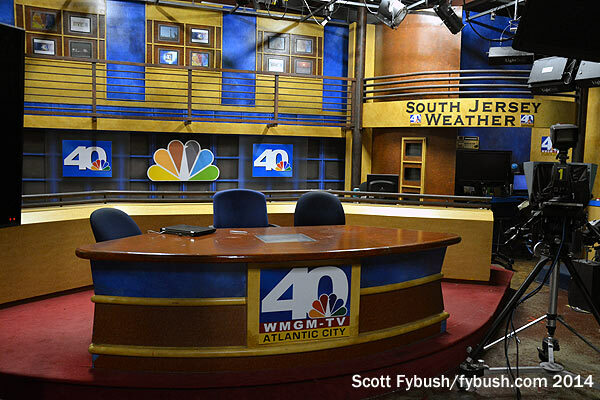 On the NEW JERSEY shore, New Year’s Eve was farewell time for WMGM-TV (Channel 40), at least in its “NBC40” incarnation. Welcome to the new year – and to new formats at a bunch of signals from one end of NERW-land to the other. While most of the flips were either expected long before Christmas or took place in time for us to mention them on the Twitter and Facebook feeds we were updating over the holidays, at least one is brand-new this morning. That’s in the Albany, NEW YORK market, where Townsquare Media flipped WBZZ (105.7 Malta) from AC “Buzz” to all-Christmas music as “Santa 105.7” back on November 1, one of the season’s first flips – and where “Santa” stuck around for an extra week, long after most of the region’s other Christmas stations had unceremoniously switched back to regular programming on or just after Christmas Day. At midnight, “Santa” finally flew out of the Capital District, leaving behind a new station called “105.7 Crush FM,” with new calls WQSH. The new format is billed as “90s and More,” a close cousin to the “Gen-X” formats that have launched recently in markets such as Louisville, St. Louis and out on Long Island, and it promises to mix a heavy diet of pop hits from the 1990s with a handful of compatible songs from the preceding and succeeding decades. *In the Mohawk Valley, Bill Keeler starts 2011 without a radio station. The veteran Utica air personality had been doing mornings on WXUR (92.7 Herkimer), but station owner Mindy Barstein is installing the syndicated “Bob & Tom” on 92.7 beginning next week, returning them to Utica morning drive for the first time since Clear Channel sold former Bob & Tom outlet WOUR (96.9) a few years back. Keeler had been leasing the morning hours on WXUR, and he says he wanted the station to succeed. “I took a radio station that nobody knew about and helped it get a name in this area,” he said in an article on his Utica Daily News website announcing his departure. Keeler says he was offered the afternoon slot on WXUR but turned it down, and he says he’ll keep publishing the online Daily News while he looks for new opportunities. *In Syracuse, Clear Channel didn’t just migrate its WSYR news-talk format to the FM dial Sunday night – it’s not even acknowledging WSYR’s eight-plus decades of history on the AM dial now that “FM Newsradio 106.9 WSYR” is on the air. The transition began on Dec. 22, when Clear Channel pulled Fox Sports Radio off the air at WHEN (620) with no warning at 3 PM, replacing the sports station with a simulcast of WPHR (106.9 Solvay), which began rebranding the next morning as “Power 620,” directing the urban FM station’s listeners down to the AM dial to continue to hear the format. A few days later, Clear Channel filed to return the WSYR-FM calls to Syracuse (where they were heard until the mid-80s on 94.5, now WYYY), swapping them with WPHR on “Star 94.7,” a Clear Channel-controlled AC station serving West Palm Beach. *The “Champ” is no more in VERMONT: as had been widely hinted in the days leading up to Christmas, New Year’s Day brought a new format to replace the classic rock that has long been a staple on Vox’s WCPV (101.3 Essex NY). The first format flip in WCPV’s 17-year history brought ESPN Radio over to the FM dial in the Burlington market. The new “ESPN 101.3” has one local show, “Rob & Rich” with Rob Ryan and Rich Haskell, debuting this afternoon from 4-6 PM. The rest of the day is network programming, moving ESPN over from Northeast Broadcasting’s Champlain Valley AM trimulcast of WCAT (1390 Burlington), WRSA (1420 St. Albans) and WFAD (1490 Middlebury). Those stations flipped from ESPN to Fox Sports Radio – and the airtime Fox Sports used to get on Vox’s WEAV (960 Plattsburgh NY) has been filled with more syndicated talk. *The biggest change in PENNSYLVANIA radio was one we’d known about for a few months now: the New Year’s Day switch from ESPN Radio to Radio Disney at Pittsburgh’s WEAE (1250), which had been by far the smallest-market owned-and-operated signal in the ESPN Radio fold. So wait, Entercom filled the radio booth for the Red Sox but technically we still don’t know for sure that the Red Sox will be on an Entercom station in a few months, right?